Looking for a great learning experience this summer that will enhance your teaching skills and energize you at the same time? 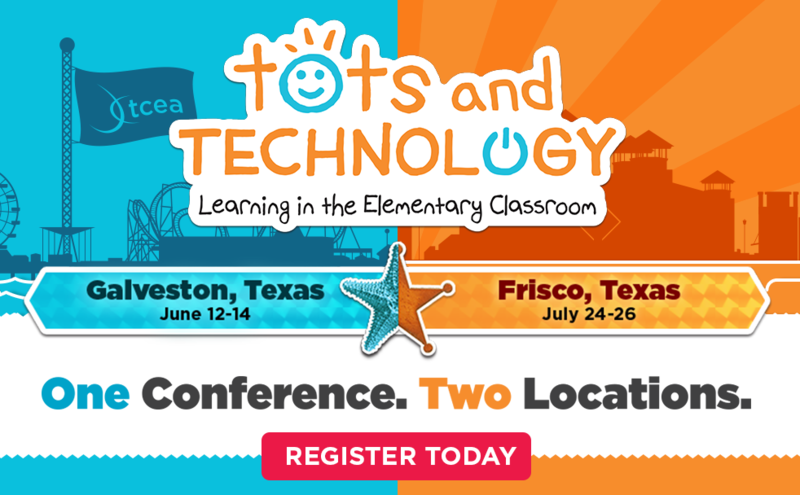 Then look no further than the TCEA Tots and Technology Conference, an event so popular that we are offering two this summer. Join us in Galveston on June 12-14 or the next month in Frisco on July 24-26 for workshops and sessions that are designed by elementary educators for elementary educators. Earn up to 17 hours of professional development credit for meaningful learning targeted to your needs. Sessions and workshops for these events will be posted April 1, so you can plan which sessions to attend and coordinate your schedule with friends and colleagues. Get support from your administrators about the value of the Tots and Technology conference by downloading and sharing this template with them. If you are an elementary educator or work with elementary educators, join us for a great learning experience. Find out more and register here. If you have any questions, contact Peggy Reimers at [email protected]. We look forward to seeing you in Galveston, Frisco, or both locations.